If you buy tomatoes from John Banscher at his farmstand in New Jersey, he'll recommend keeping them out of the fridge or they'll lose some of their taste. Now scientists have figured out why: It's because some of their genes chill out, says a study that may help solve that problem. Cooling tomatoes below 54 degrees stops them from making some of the substances that contribute to their taste, according to researchers who dug into the genetic roots of the problem. That robs the fruit of flavor, whether it happens in a home refrigerator or in cold storage before the produce reaches the grocery shelf, they said. With the new detailed knowledge of how that happens, "maybe we can breed tomatoes to change that," said researcher Denise Tieman of the University of Florida in Gainesville. She and colleagues there, in China and at Cornell University in Ithaca, New York, report their findings in a paper published Monday by the Proceedings of the National Academy of Sciences. 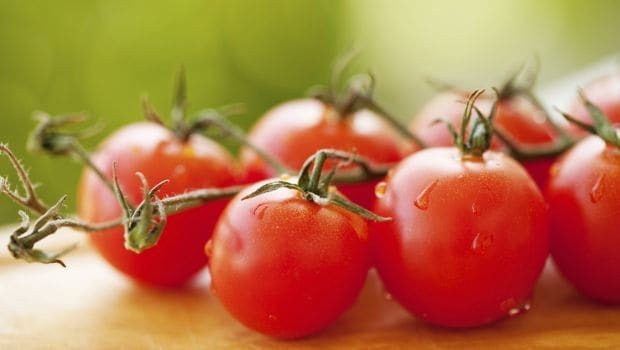 They showed that after seven days of storage at 39 degrees, tomatoes lost some of their supply of substances that produce their characteristic aroma, which is a key part of their flavor. Three days of sitting at room temperature didn't remedy that, and a taste test by 76 people confirmed the chilled tomatoes weren't as good as fresh fruit. Tomatoes stored for just one or three days didn't lose their aroma substances. Further research showed that the prolonged chilling reduced the activity of certain genes that make those compounds, Tieman said. Her lab is already looking into the possibility of breeding tomatoes that don't lose flavor in the cold, she said. In the meantime, "Just leave them out on the counter, or leave them in a shaded area, something like that," said Banscher, whose farm is in Gloucester County. "A tomato has a decent shelf life."